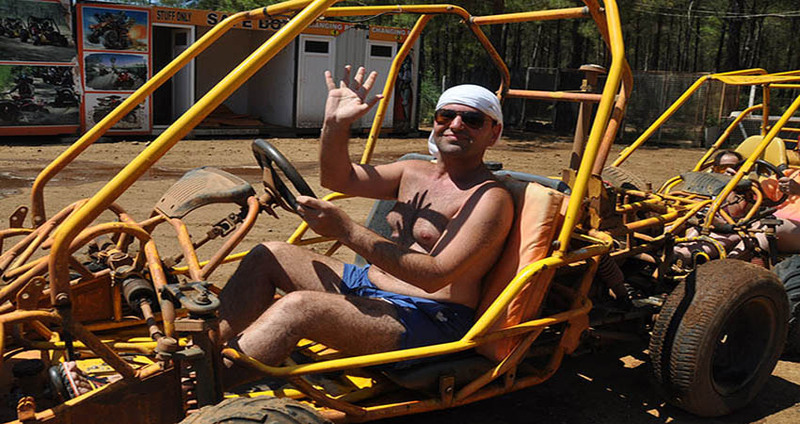 You can see the available dates for Marmaris Buggy Safari. Please use the booking widget to make reservation. 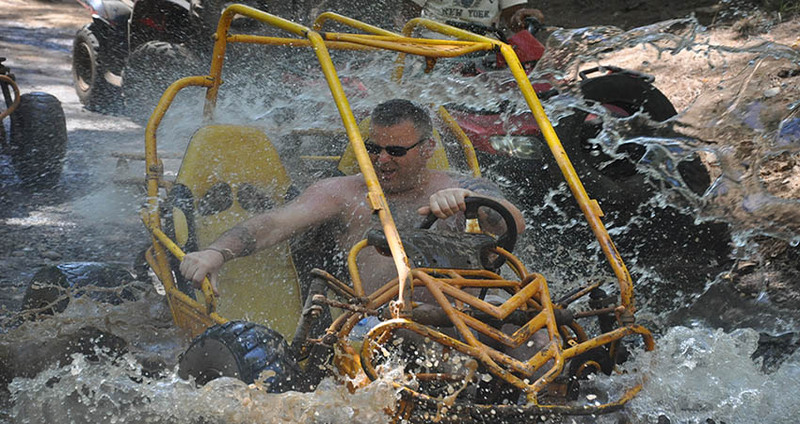 Our Marmaris Buggy Safari Tour is an exciting tour for the daring hearts! As the buggies move over the all-terrain track among the stunning countryside, the participants on the tour experience sheer thrill and non-stop adventure. 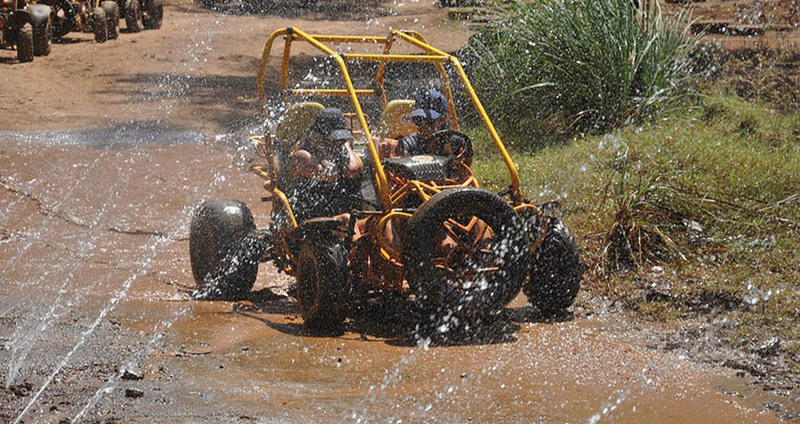 The buggy safari is a thrilling activity providing you full excitement and fun; both at the same time. Don’t miss to enroll on this tour when you visit Marmaris this holiday. Free and comfortable hotel transfers are a part of our Marmaris Buggy Safari Tour. 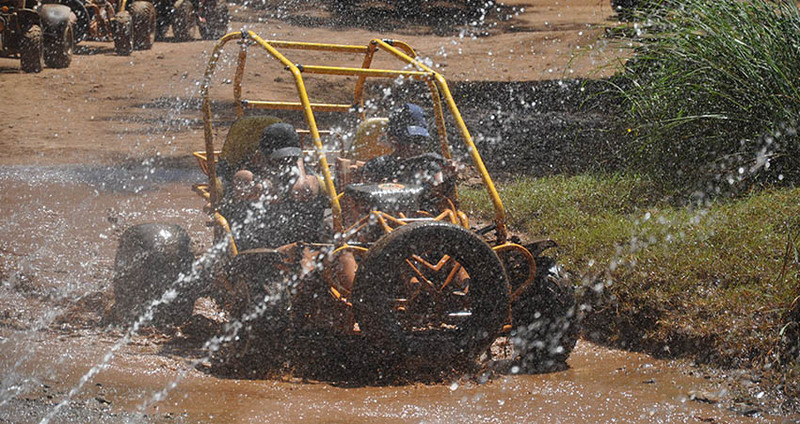 The venue for our buggy safari is about 15 kilometers away from the town. Once we pick you from your place of stay, we reach the venue within 20 minutes. The venue of our buggy safari tour is on the north side of Marmaris. At the beginning of the tour, the participants are briefed about the tour course and the safety instructions one needs to follow on the tour. This is followed by a demo ride to get familiar with these special vehicles. The full course of our safari takes place in a forest area far from public interference. There is no need to obtain license to ride a buggy. 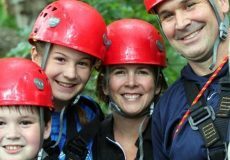 While you enjoy riding the buggy, our professional crew takes your photos and videos. At the end of the tour, you have an option to buy these as tour souvenirs. 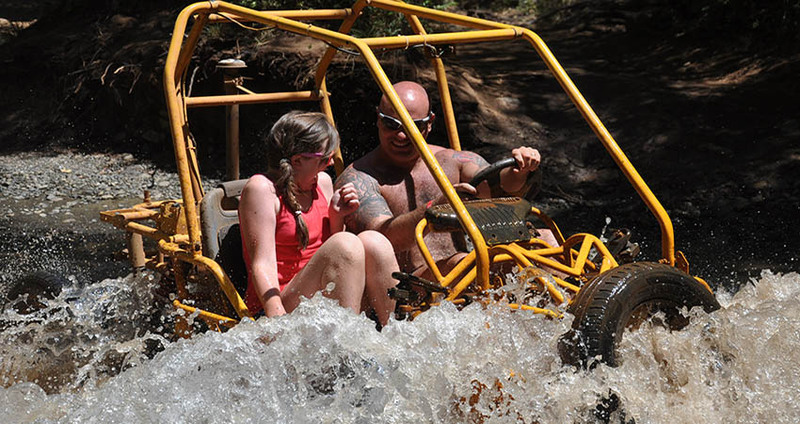 Our special all-terrain track is devised to offer you sheer thrill and great fun all through the safari. 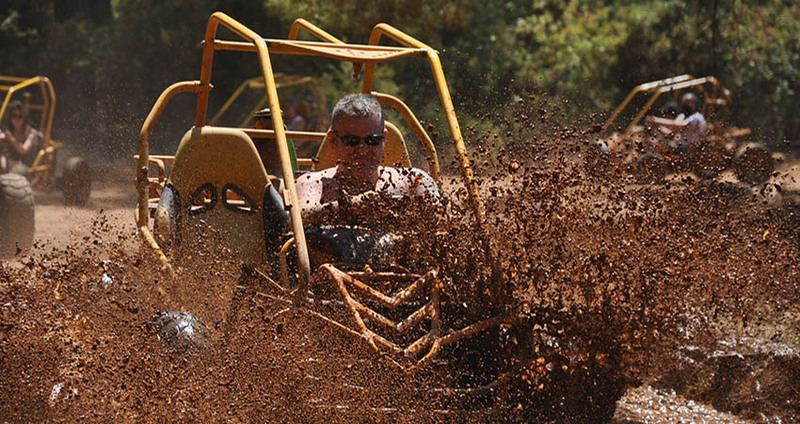 As you ride the buggy through the all-terrain track with muddy slopes, streams, and dusty paths, you’ll be enjoying some of the most memorable moments of your life! 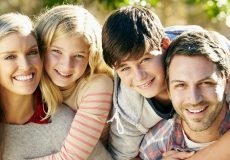 Children can also accompany their elders on this all-exciting tour. We’re sure that you’ll remember this tour for long and recommend the same for your friends because of the absolute thrill on offer. Hotel Transfer, Full Insurance, Instructions (English Speaking), Safety Equipments. Remember to bring spare clothes. There are shower facilities in the area. After the safari you can take a shower and put your clean spare clothes on. 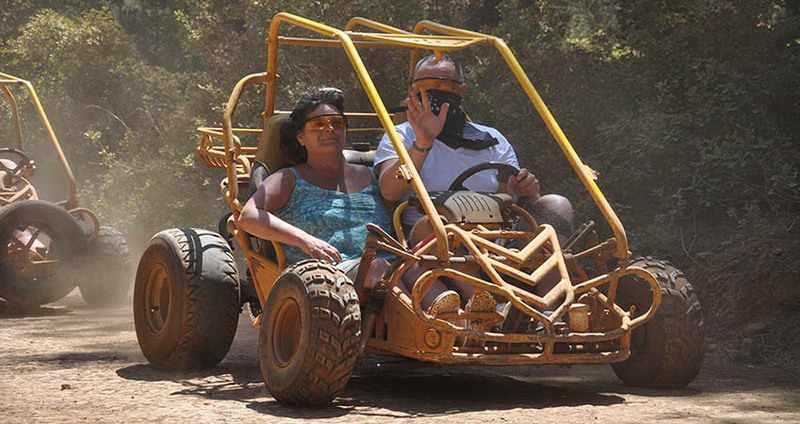 Categories For " Marmaris Buggy Safari Tour "
We booked this online with Marmaris Travel and really enjoyed the Buggy, I had a great time and would recommend the morning session before it gets too hot. During this you go through water mud for many times, so be prepared to come out covered in mud ! But there are showers at the facility so you can wash the mud off before heading back on bus. Photos are reasonable price also very good quality. 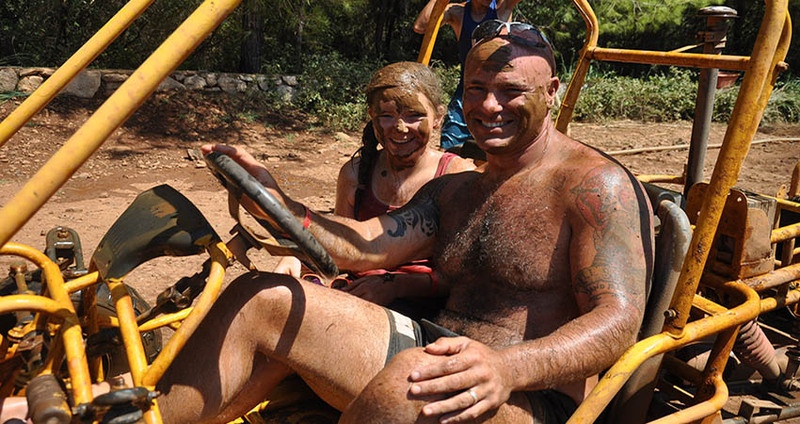 No, you don't need to have driving licence to join our Marmaris Buggy Safari. We organize our tour in a private track closed to traffic. Can 2 people go on the buggy car? Yes, 2 people can go on the same buggy car. People choose the double bike option from the booking widget, if 2 people will ride on the same bike. For how long you ride the quad bikes ? Total time that you will spend on the quad bikes is 2 hours. The other 2 hours you will spend for the hotel transfer, instructions and for training which will let you to get the grip of your buggy car. 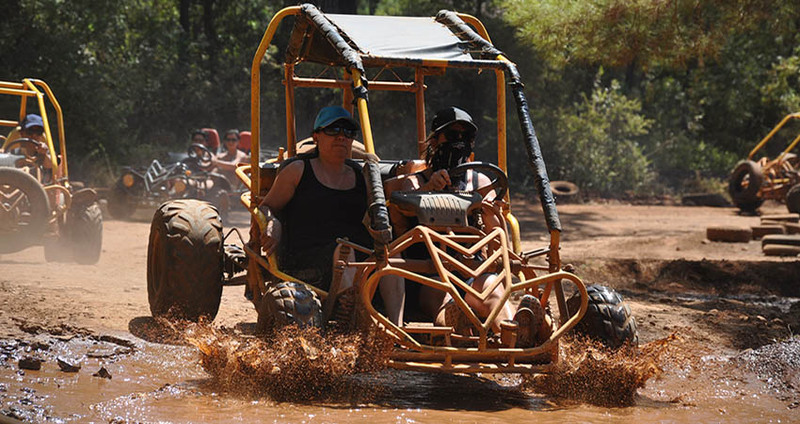 Our Marmaris Buggy Safari is a thrilling half-day trip among the hinterlands around Marmaris. The action venue is just 15 Km to the north of Marmaris. This is the same place where the quad safari takes place; the buggy is used instead of a quad. Just before the buggy safari tour begins, we arrange to pick the guests enrolled for this all-exciting activity from their places of stay. 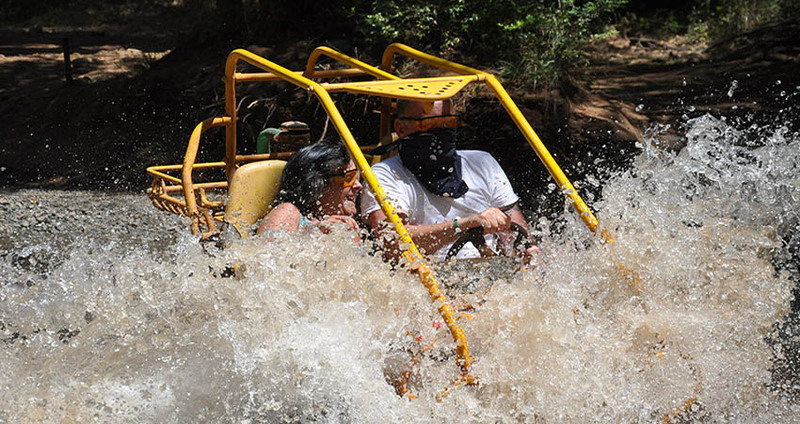 Total duration of a buggy safari tour is 4 hours and 4 sessions of buggy safari takes place each day. The first sessions begins at 10:00 am. Upon arriving at the buggy safari site, there is a brief session where the instructors guide you about riding the buggies and also instruct you about the essential safety tips. One is ought to follow these instructions while riding a buggy. Demo rides after this short session helps you get a measure of your buggy bike and also helps you learn about handling them safely. After a short demo ride session, it’s time to start your thrilling Buggy Safari Ride! The all-terrain track runs through the woods, springs and the muddy region. The adventurous buggy ride among the multi-terrain tracks is specially designed for providing you a non-stop adventure and sheer fun. 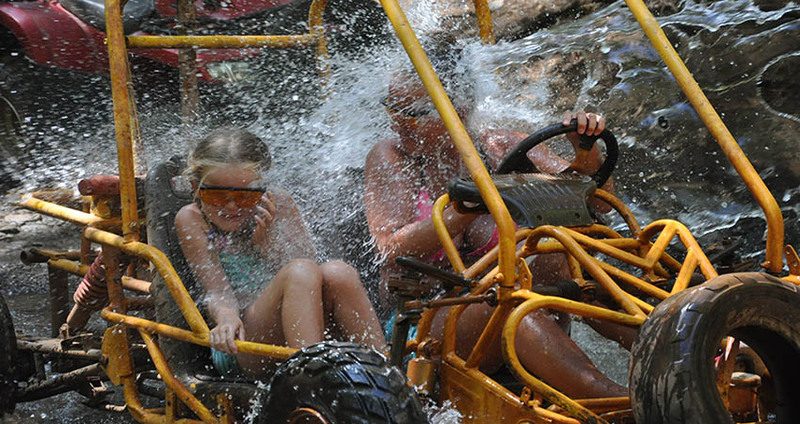 All of the buggy bikes are well-maintained to provide you an exciting ride through the tour duration of 2 hours. Our professional crew members follow you with the convoy to ensure that you stick to the marked tracks in the woods. Two hours of non-stop buggy ride on the muddy and wet track makes you dirty and somewhat tired as well. You can make use the facilities of the showers in the area to clean up yourself at the end of the tour. At this place you can change your dirty clothes and can put on the fresh clothes you’ve carried as spares. After cleaning yourself and a refreshing bath, the tour is almost complete and we prepare to get back to Marmaris. 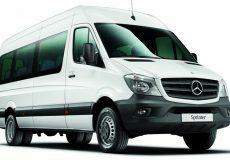 We arrange for hotel transfers in our comfortable and well-kept vehicles to drop you back to your places of stay. 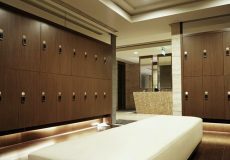 These free hotel transfers are included in the tour price, avail this facility at no extra cost. Some of the important facts and useful information about " Marmaris Buggy Safari Tour "